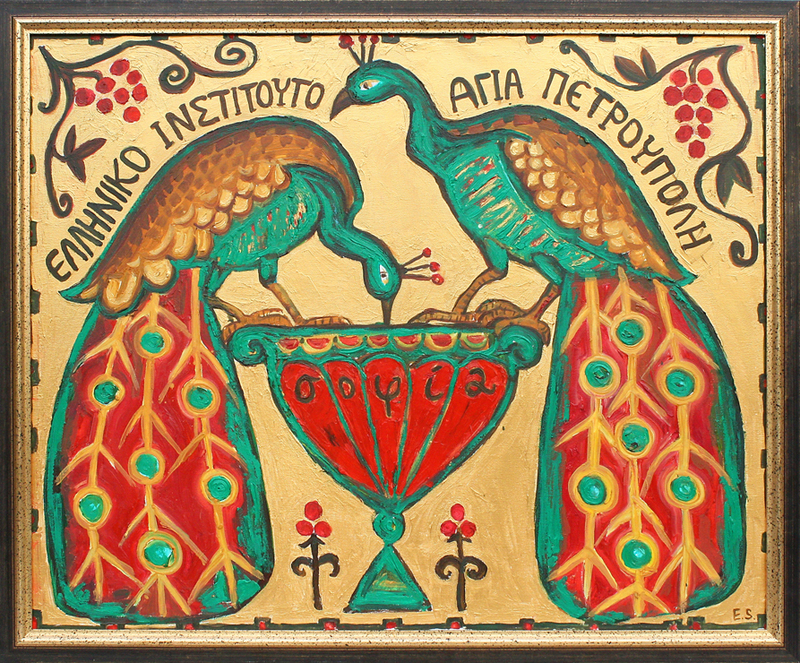 I was happy to create this painting for the Hellenic Institute in St.Petersburg. Now it is decorating one of the institute auditoriums. 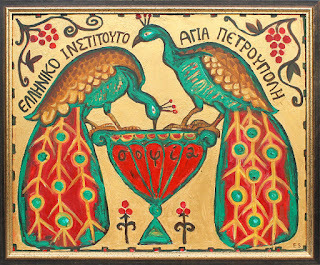 Peacocks are supposed to be a symbol of wisdom and they were chosen to be a symbol of the Institute.